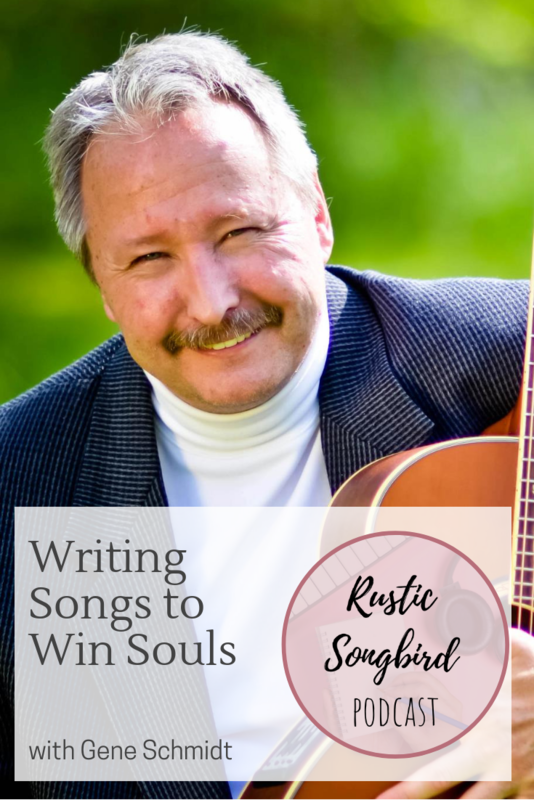 Welcome to the Rustic Songbird Podcast! In this episode, Lydia Walker interviews Gene Schmidt about using music to share the gospel, and the importance of using our gifts to glorify God. They talk about many situations that the Lord has inspired songs for a certain time or group, and many people have been saved as a result. Gene encourages writers to use their platform and their unique gifts for ministry wherever they are. You can find out more about CSMI (Christian Songwriters Musicians Intl) at www.csminetwork.com. Here are some songwriting resources that you may find helpful.